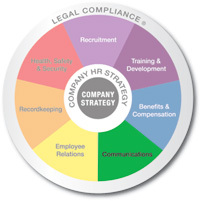 Communications - Strategic Human Resources, Inc. Communicating effectively with your employees is a vital part of ensuring that everyone on your team is “in the know.” Although there’s no such thing as “too much communication,” it’s best to be concise and targeted with your employee communication efforts. strategic HR inc. can assist you with deciding which communication vehicles will successfully reach employees and produce results. Read recent communicaiton articles written by our senior consultant team.